Amazon has announced that their new TV series, Alpha House and Betas, will debut this month. The company has ordered 11 episodes of each. Alpha House will premiere on November 15th. A comedy, it revolves around four misfit senators (John Goodman, Clark Johnson, Matt Malloy and Mark Consuelos) who rent a house together in Washington DC. Also in the cast are Cynthia Nixon, Amy Sedaris, Wanda Sykes, and Julie White. Betas will debut a week later, on November 22nd. The show is set in the land of Silicon Valley start-ups and follows four friends as they attempt to strike it rich with a new mobile social networking app. The cast includes Joe Dinicol, Karan Soni, Jon Daly, Charlie Saxton, and Maya Erskine. The first three episodes will be available for free to all Amazon customers via their Amazon Instant Video service. The rest of the installments will be available only to Amazon Prime members. New episodes will be released weekly. What do you think? Do you like the sound of these shows? Do you plan on checking one or both of them out? 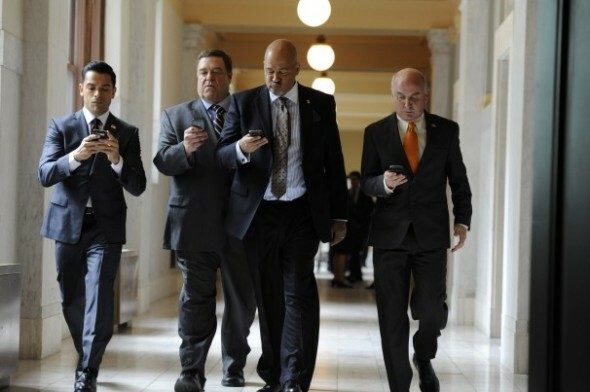 More about: Alpha House, Alpha House: canceled or renewed?, Betas, Betas: canceled or renewed?